Full Flush Poker resides on the Equity Poker Network (EPN), which accepts US players and offers new players a 150% up to $1,500 deposit bonus. 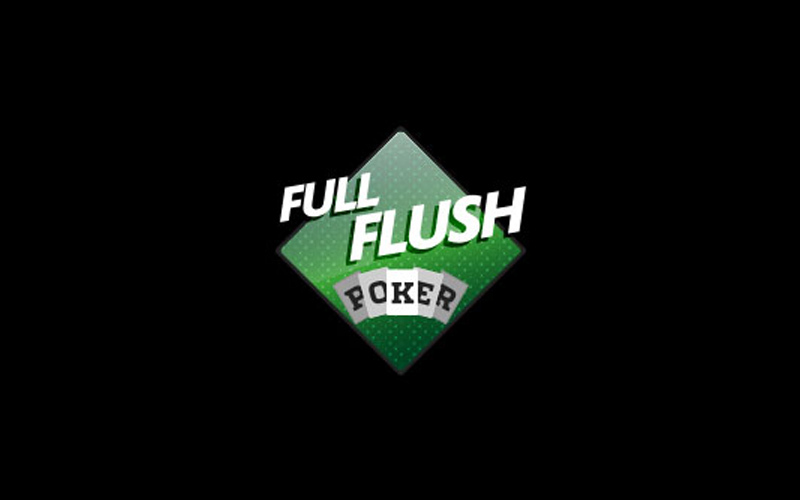 Full Flush Poker offers a 150% up to $1,500 poker bonus and is currently ranked #16 out of 28 reviewed poker rooms with an overall score of 71.50. 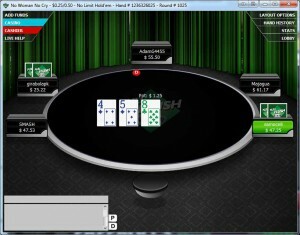 Visit www.FullFlushPoker.com for more details and to download the official Full Flush Poker software. The new player bonus described on this page is only for those who have never made a deposit at Full Flush Poker. If you don’t yet have an account, and would like to claim the offer, feel free to support Bonus Ace by using our links to visit FullFlushPoker.com and downloading the software. At Full Flush Poker we offer many bonus codes – the bonuses are automatic therefore it is not necessary to enter and bonus code. This is also the spot to enter any reload bonus codes you may come across. We are very sorry but in order to increase your deposit limits you must build a financial relation with our company. This means that you must be an active player for at least 30 days and then you must also have several deposits within the mentioned time frame. When minimum requirements are fulfilled we can proceed to analyze your request and then Security Department will contact you with further details. If you want to make a larger deposit for the full bonus, they recommend using Western Union, MoneyGram, or Bitcoin. If you choose Western Union or MoneyGram, they will cover any fees if you deposit $250 or more. For assistance making a deposit, you can call 1-800-841-0286, 24/7. Players are given an impossible task – just 30 short days to clear the bonus. This means if you deposit $1,000 for the maximum $1,500 bonus, you would have to generate $100 in rake every day for pace. This may not seem too crazy, but traffic is pretty low on the Equity Poker Network. The average player count is around 140 players connected, with peaks rarely breaking 300 players, PokerScout traffic for EPN. The bonus has an amazing value at 50% (55% when you include VIP) but you almost certainly won’t have enough time to earn the full amount. Also, to make it even worse, the bonus is NOT released incrementally. It’s all or nothing. If you need to earn 5,000 points, and earn 4,999 within 30 days, you will receive $0 of the bonus. So with that in mind, make sure to only deposit what you’re sure you’ll be able to earn. 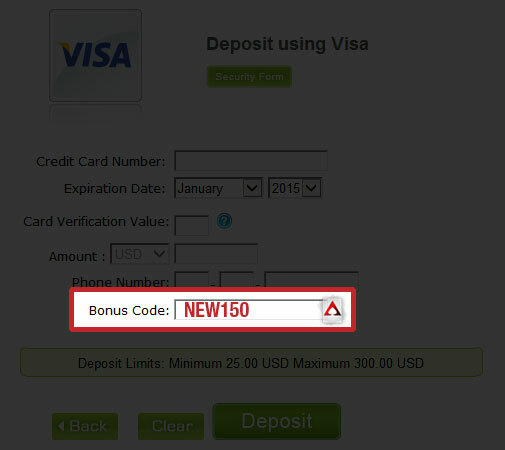 To make it easier, each $50 deposit earns a $75 bonus and requires $150 to be raked. So if you deposit $50, you will have to rake $150, deposit $100, you will have to rake $300, and so on. To clear, players must earn 20 Player Option Points (POPs) per $1 deposited. This means a $100 deposit, which nets a $150 bonus, would require 2,000 POPs to be earned. Every $1 in rake or tournament fees paid awards 10 POP. Quick math shows this bonus returns 50% of your rake paid. The below table shows an approximation of how many hands it will take to clear the full $1,500 bonus. These numbers may not 100% exact and should be used as an average to give you a general idea, rather than an accurate amount. This is because the rake generated varies widely based on playing style. In general, aggressive players generate more rake while more conservative players generate less rake. Therefore, if you tend to play more aggressive, it may take you fewer hands, whereas if you play more tight, it may take you more hands. 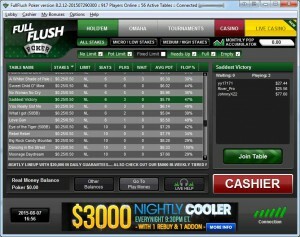 If you’re looking to play now, you can visit FullFlushPoker.com now and start earning your $1,500 deposit bonus! Looking to get started? Signup at Full Flush Poker through Bonus Ace by using the link above. New players can receive the 150% up to $1,500 opening bonus offered, described in this review.